If a bassoon could sing, then this CD would be its love song. 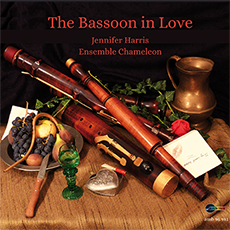 Travel back in time to hear eighteenth century sonatas and songs from England played by the renowned bassoonist Jennifer Harris and Ensemble Chameleon. Discover the world of baroque love!